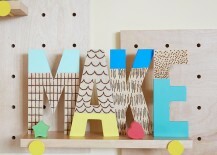 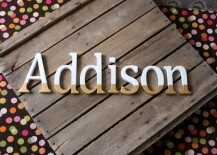 There are many places to shop for wooden letters, such as Restoration Home Baby & Child. 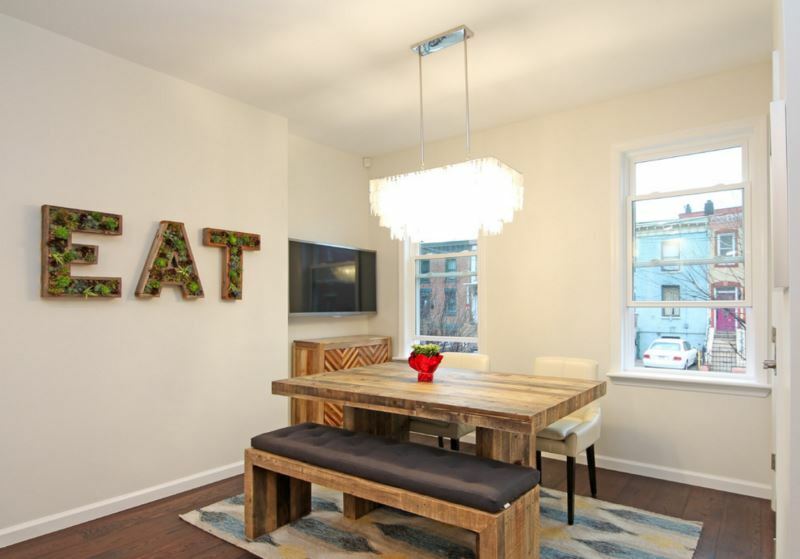 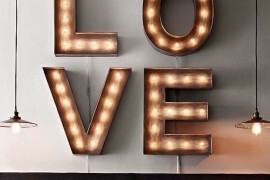 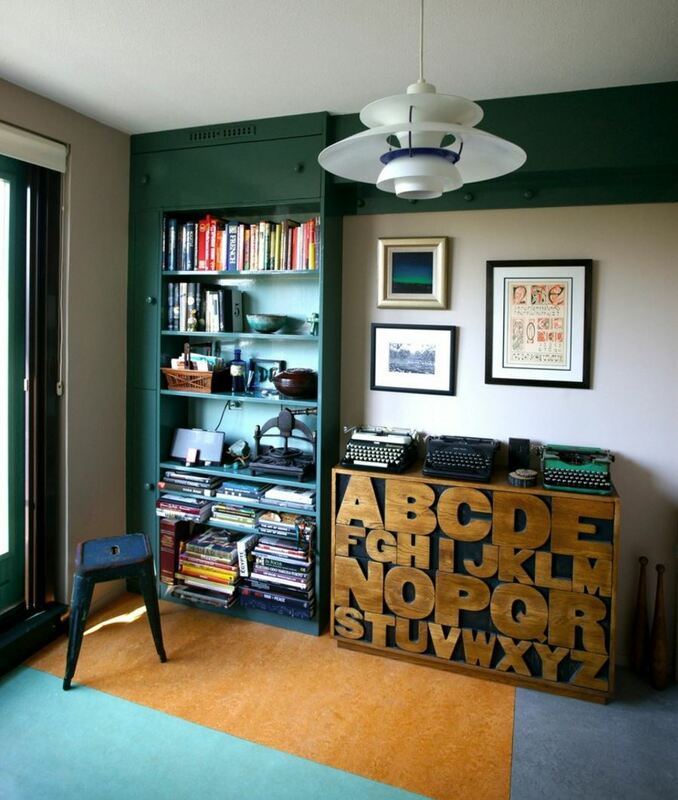 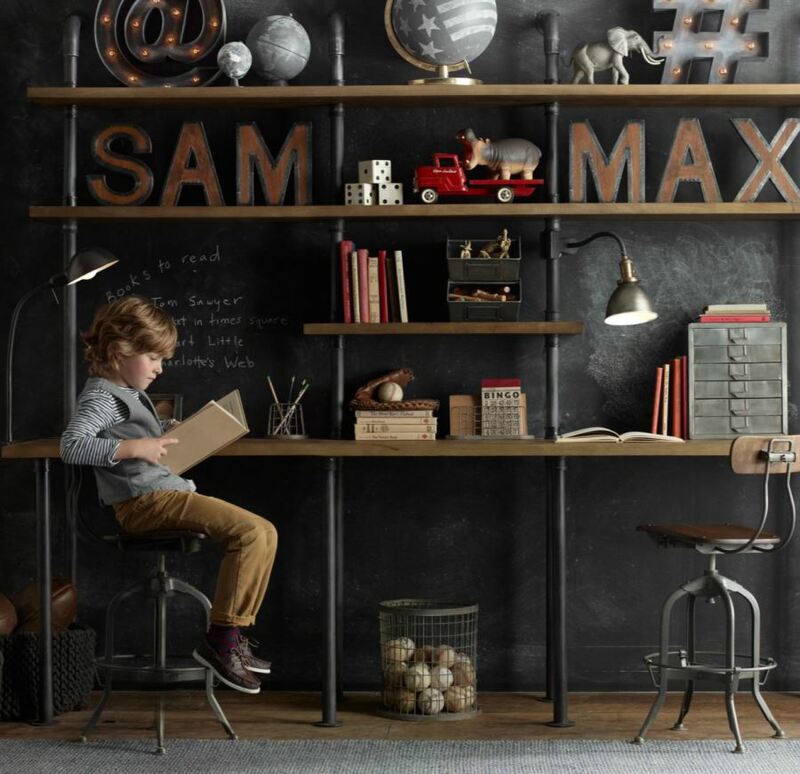 The Vintage Industrial Letters in the next image feature metal trim that’s held in place by exposed nailheads. In case you doubted for one second that they were industrial at heart! 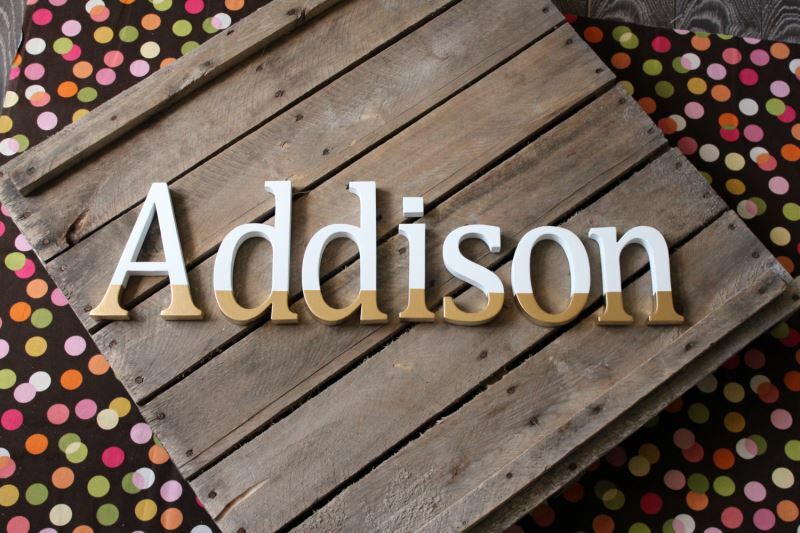 Etsy is another wonderful source for wooden letters, and the small custom letter below comes from Etsy shop Summer Design Shop. 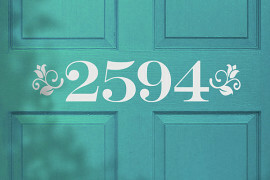 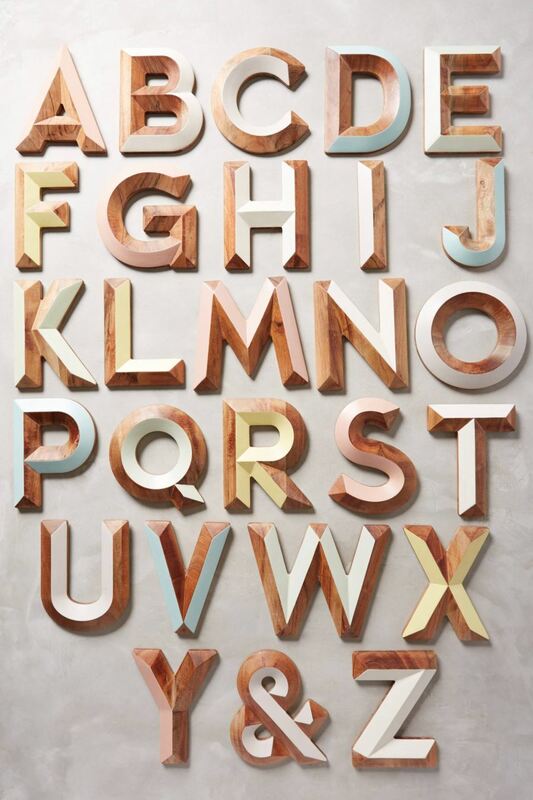 In addition to this foot-tall letter option, Summer Design Shop offers a larger 20″ size. 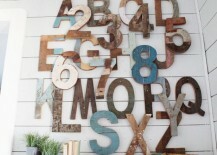 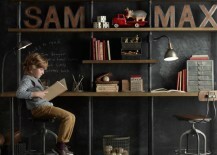 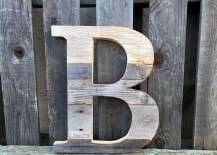 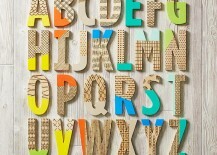 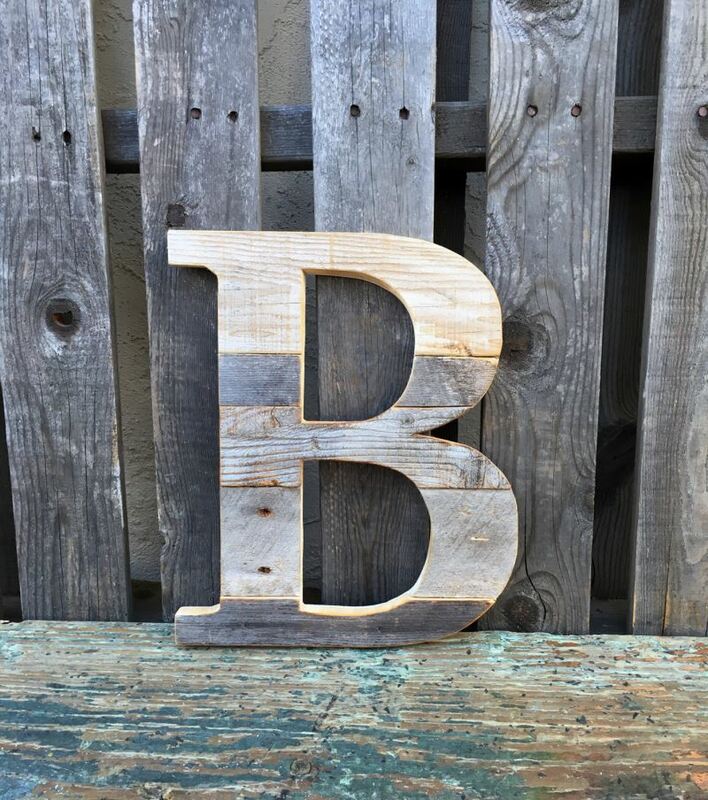 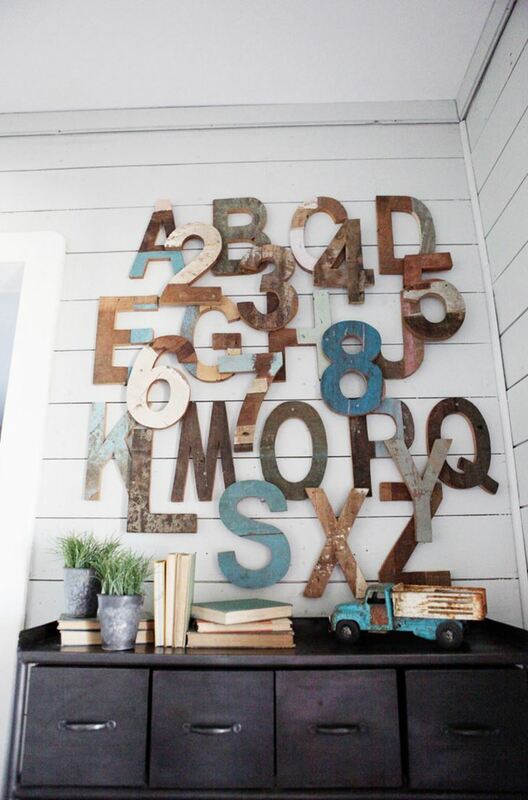 Request any letter of the alphabet and receive a beautifully crafted finished product made from reclaimed wood. 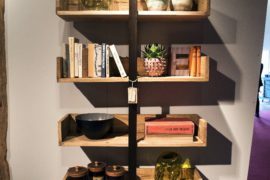 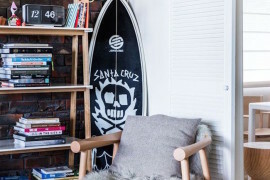 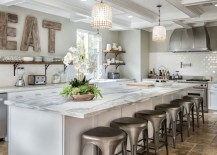 So many new design trends, so little time! 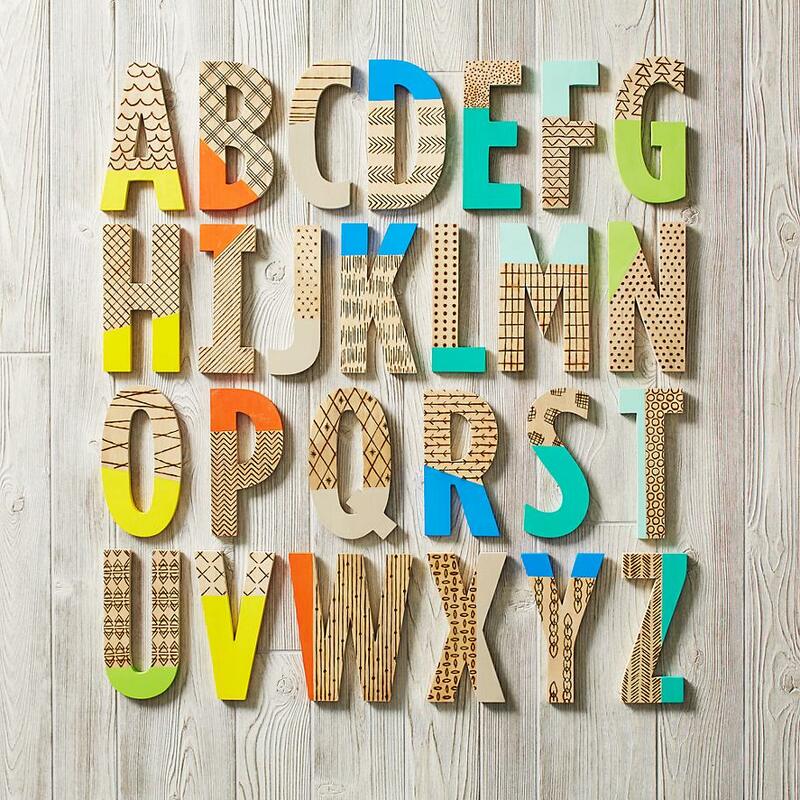 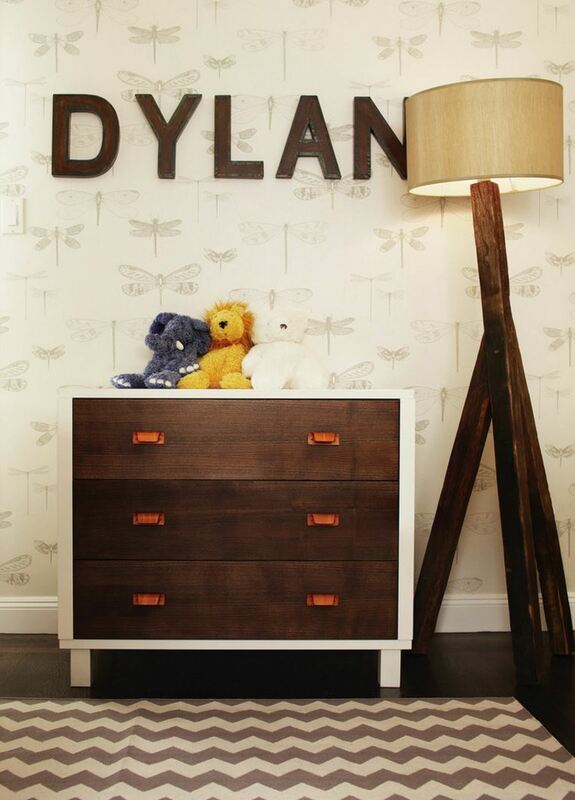 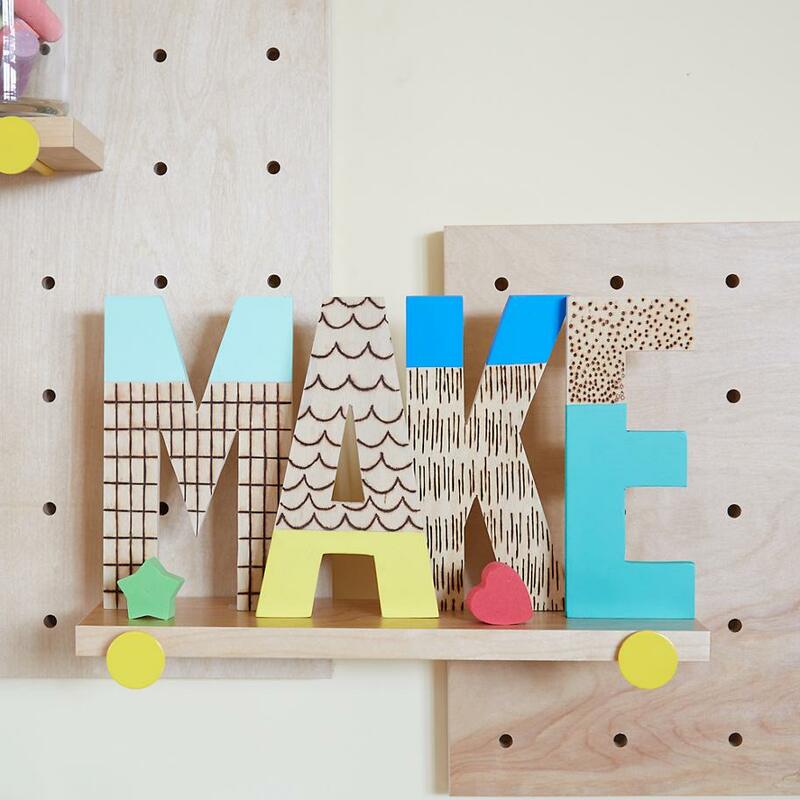 Today’s wide array of wooden letter options reflects the latest trends, and these Wood Shop Letters from The Land of Nod are no exception. 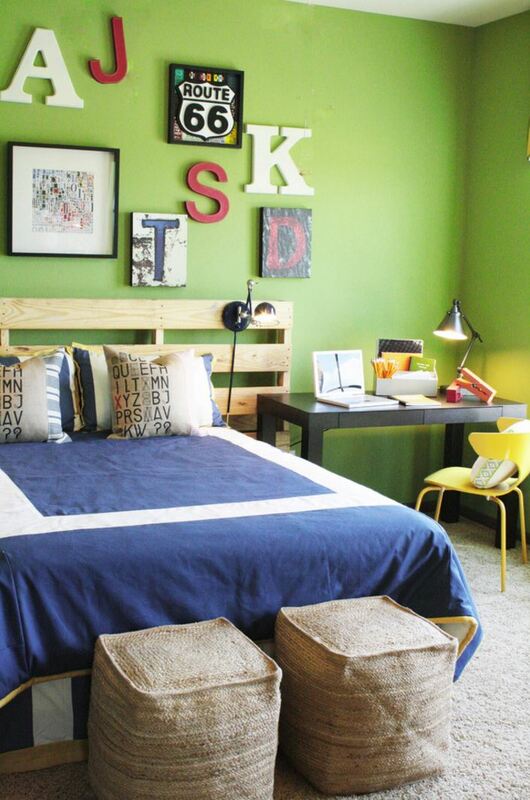 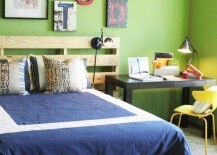 For starters, they’re paint-dipped in colorful hues. 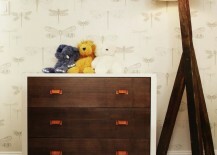 And their wood-burned designs create a hand-drawn look (another top trend)! 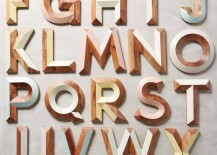 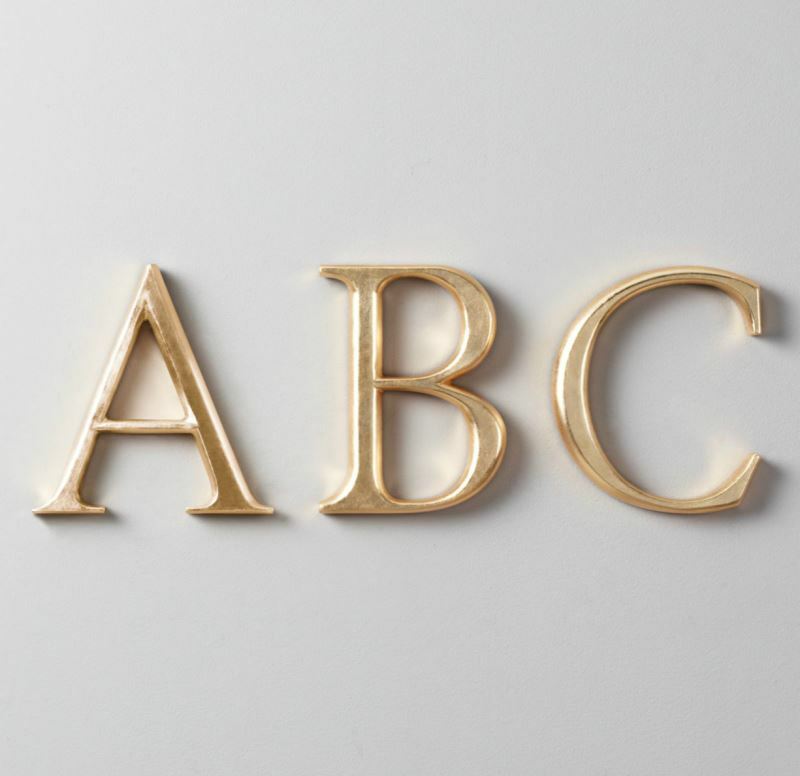 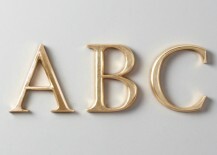 See more of these letters designed by Ampersand Design Studio at the top of the post. 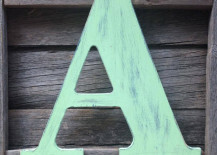 Carved acacia wood is accented with pastel and white paint for these Woodshop Monogram Letters from Anthropologie. 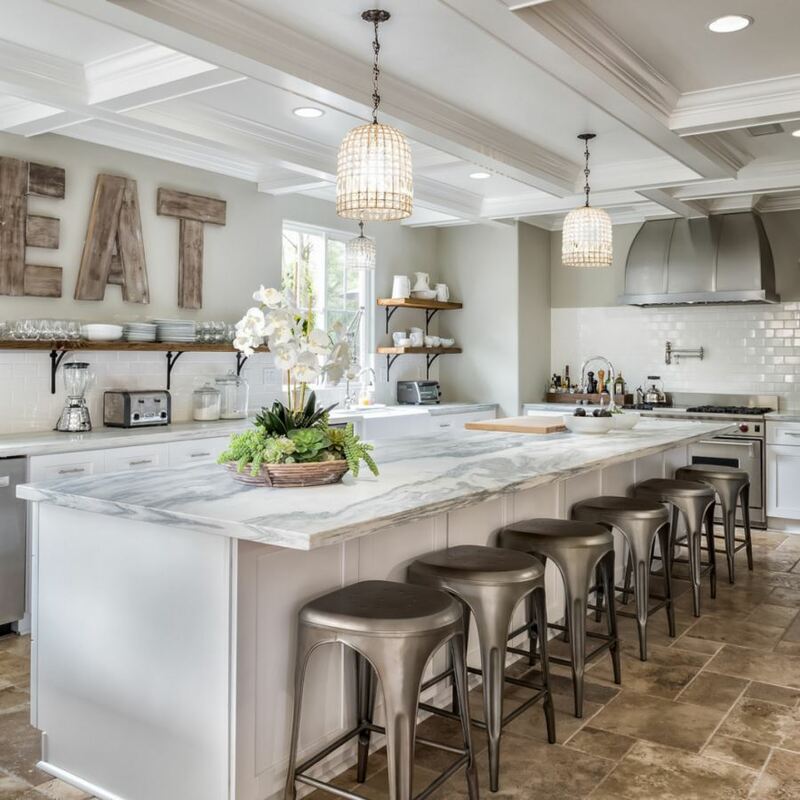 Their modern form and painted surfaces create a geo look that’s right in line with the current celebration of all things geometric! 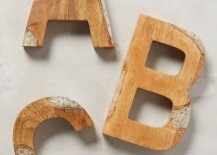 Why are we so fascinated by rocks and minerals? 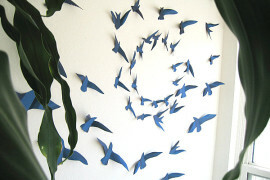 Perhaps their natural beauty is irresistible! 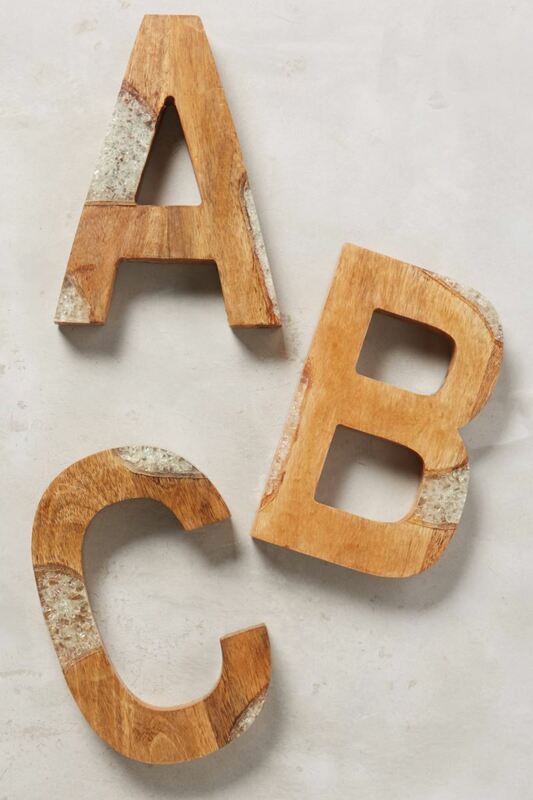 These Ice Crackle Monograms from Anthropologie are actually crafted from mango wood and resin. 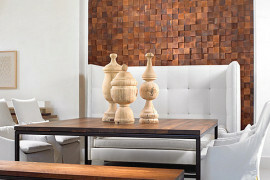 While the resin clearly isn’t crystal, it has a crystalline look from a distance. 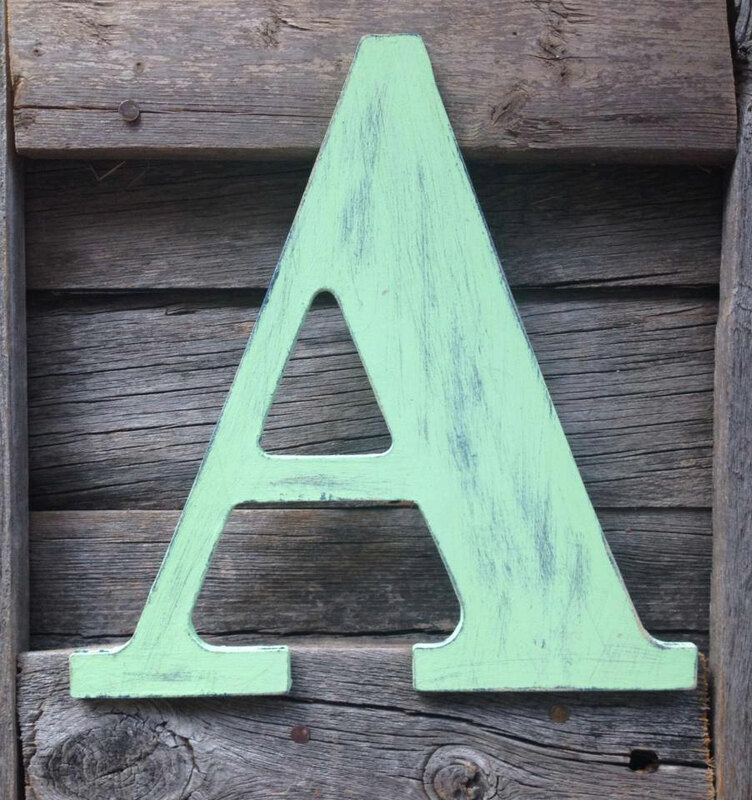 Etsy shop From a Little Dust offers painted and distressed custom wooden letters. 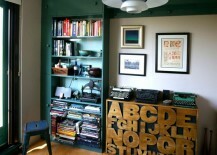 You choose the color!